The last right hand drive GranSport Spyder. 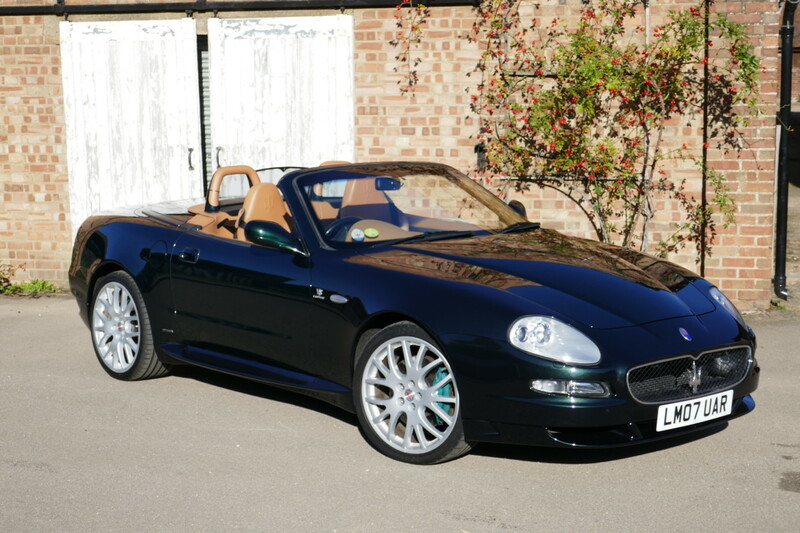 There were only ever 26 examples of the GranSport Spyder made in right hand drive and this is the final one. 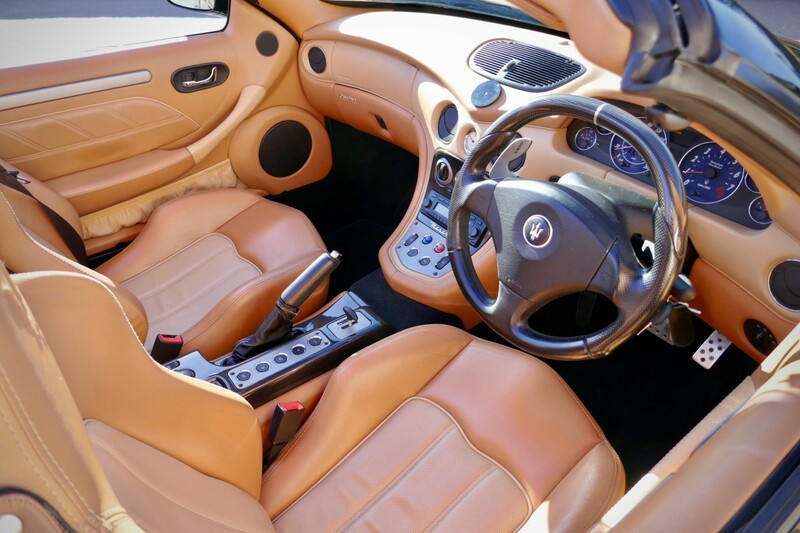 First registered in March 2007, it was ordered in Verde Goodwood with leather in Cuoio and beige. Factory options included Titanium brake callipers, Cruise control, rear parking sensors, heated memory seats and Xenon headlights. It also has the Windstop for extra comfort on long distances with the hood down. It was ordered through Meridien Modena by its first and only owner (a copy of the original purchase order is on file) and serviced by them when new. 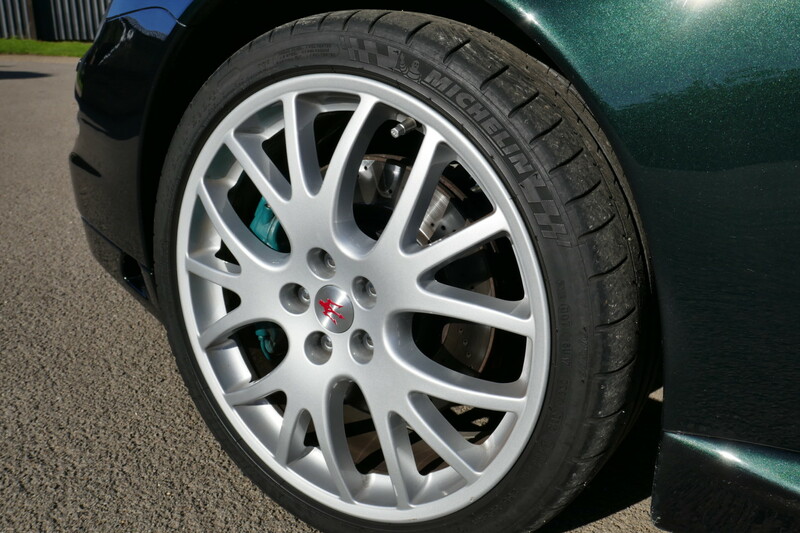 Latterly, servicing has been carried out by McGrath Maserati. 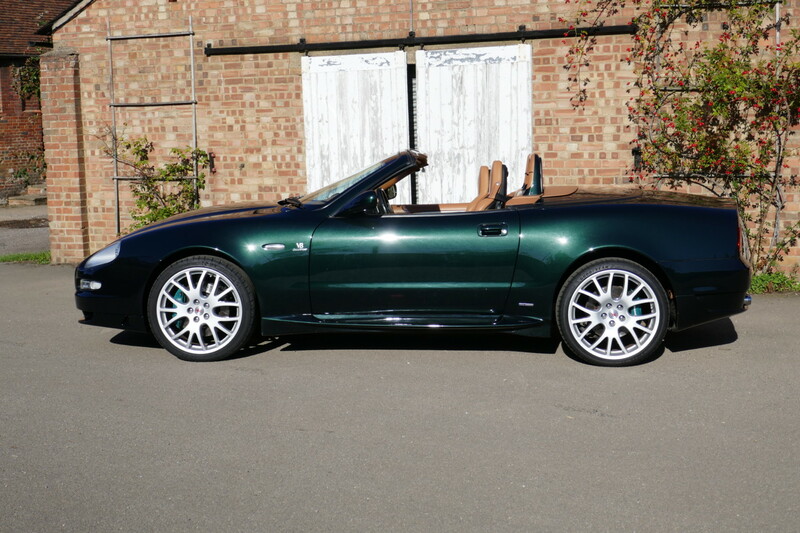 The car has continuous and fastidious service history including a clutch change at 28,000 miles. It has now covered 39,000 miles. It has been magazine-featured in Auto Italia (copy of the magazine in file) and at times in the Maserati Club magazine Trident. 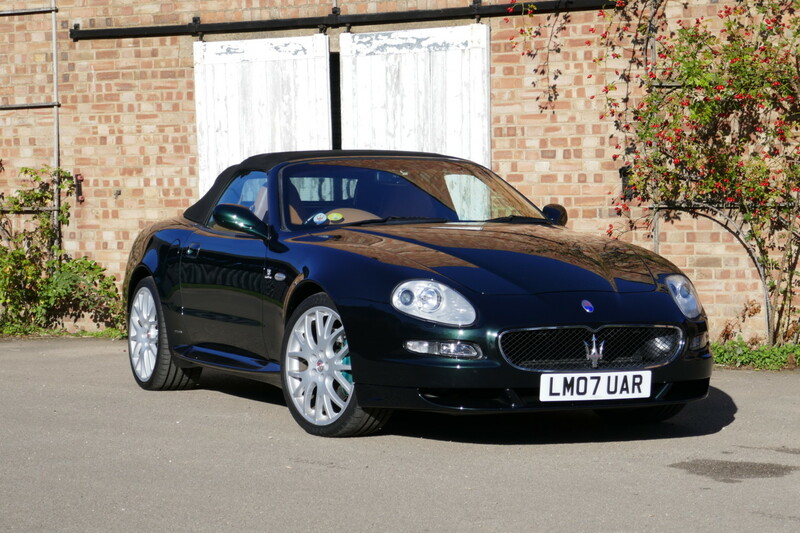 It is a well-known car in the Maserati Club and has been used on many club events and for touring on the continent. Now available to view at McGrath Maserati. 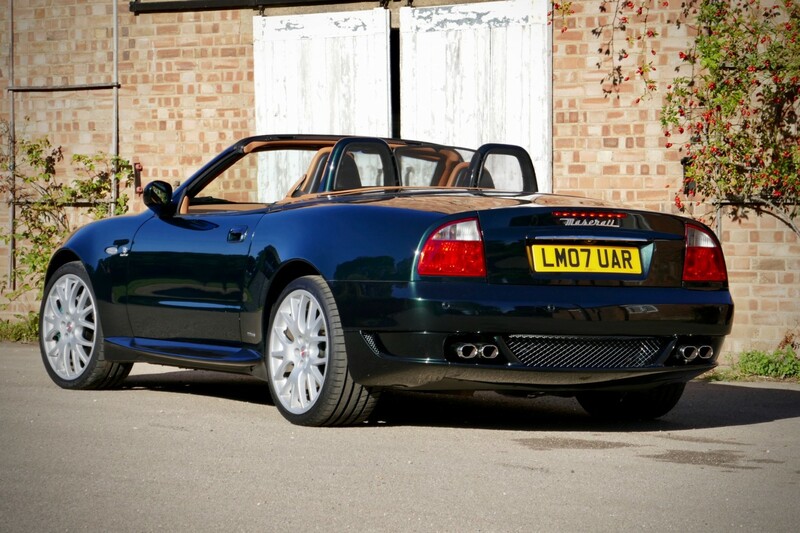 Here is an opportunity to purchase probably the only single-owner example of one of the rarest Maseratis of its era.